We are a leading Manufacturer of radiation protective aprons, x- ray lead sheet, lead glass, lead goggles, lead lined doors and x-ray mobile shield from Mumbai, India. We get our Lead apron manufactured in Turkey and is CE certified product. We also have Lead Free Aprons. We are manufacturers of CE Mark X-Ray Lead Sheet at our ISO 9001 2015 certified Factory at Ambernath. 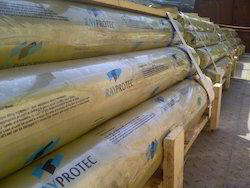 RAYPROTEC Lead Sheet is preferred material forMedical Radiation Shielding& Nuclear radiation shielding projects and for Acoustic insulation for used as a sound barrier material. Lead Sheet can be found in applications such as lead lined rooms, doors, frames, mobile shielding screens, static shielding screens, mobile lead barrier, portable lead shield and protective clothing to protect medical personnel as well as the general public and the environment from potentially dangerous levels of radiation from x-rays and gamma rays and electron beams. It can also be used to stop radiation leakage from cut-outs and penetrations in lead-lined walls. RAYPROTEC Lead Sheet is consistent and high in density, manufactured from soft lead and a variety of special alloys upon request. RAYPROTEC Lead Sheet is free from dross, oxide inclusions, scale, laminations, blisters, and cracks. Lead Glass offers excellent radiation protection and superb visual clarity. The polished surfaces are scratch resistant and does not discolor due to radiation. Lead Glass allows technicians to view the imaging or radiation therapy procedures. Lead glass is typically mounted into a lead lined frame built into a door or a wall. Lead glass is a potassium silicate glass that also has been infused with a small amount of lead oxide as part of its composition. The purpose of the lead component in lead glass is to allow for the transmission of visible light while blocking X-Rays. Specifically, leaded glass and X-Ray glass shields against X-Rays from various types of equipment in the 100 to 300 Kilovolt (KV) range. In addition, the high lead and barium content provide for optimum protection from X-Ray emissions. We are Importers of Lead Goggles. Our Lead Goggles are Light Weight, Comfortable and with Excellent Peripheral Vision. We manufacture Factory Laminated Lead Lined Doors. 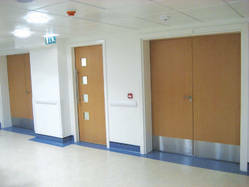 We Can provide Wood & GI Lead Doors with all required hardware Accessories. 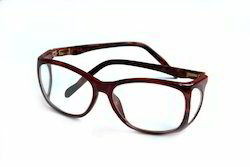 We also provide lead lined frame in Wood and GI material. Kokilaben Dhirubhai Ambani Hospital - Khoperkhairne, Gondia, Akola & Solapur. The solid panel is constructed of a single unpierced lead sheet laminated between 2 Formica panels. 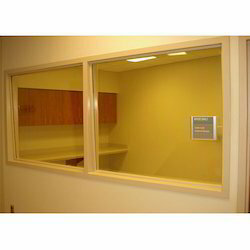 Booths can be furnished with a window unit of lead glass of equal shielding capacity. Steel braced legs with heavy duty ball bearing castors assure both stability and movability. Comes complete with built in Lead glass window and is located 50" from the floor. Angle iron frame-work made for durability of the screen. Ease of movement and stability is assured by the steel legs, with double race heavy duty ball bearing casters. 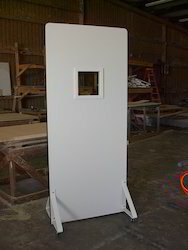 We pride ourselves on giving a professional approach to all our Radiation Shielding Projects. 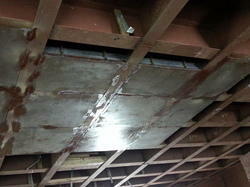 We have successfully done complex lead lining job in Oncology Therapy Room at Jaslok Hospital(Mumbai). Lead Lining of Walls at Shree Naman Hospital. Fittings of Lead Lined Doors with Lead Lined Frame at Manipal Hospital Goa. Even the Frame for Lead Glass was lead lined by us. Fittings of all Lead Lined doors (Single & Double Shutter Doors) with Hardware Accessories at Kokilaben Dhirubhai Ambani Hospital at Khoperkhairne.